Provide comfort for the family of Sheila McNamara with a meaningful gesture of sympathy. Passed away February 22nd, 2019 at Lakeridge Health Bowmanville in her 85th year. Wife of the late William McNamara for 44 years. 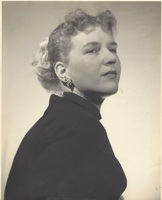 Sister of Anita Symonds (Lewis) and the late Donald Nelson (Laura). Mother of Robert (Doreen), Joseph (Tracy) and Michael (Tammy) and 7 grandchildren: Cheryl, Marie, Steven, Joseph, Daniel, Owen and Jamie. Former resident of Newtonville and Otonabee Avenue, Willowdale. Many thanks to PCN Nursing, Paramedics and the Bowmanville Hospital staff, for the excellent care. In lieu of flowers, donations to the Salvation Army would be appreciated. As per Sheila’s wishes, cremation has taken place and there will be no service. To send flowers in memory of Sheila Ruth McNamara, please visit our Heartfelt Sympathies Store. Donations are being accepted for: THE SALVATION ARMY BOWMANVILLE CORPS.